hills, originally uploaded by jahansell. 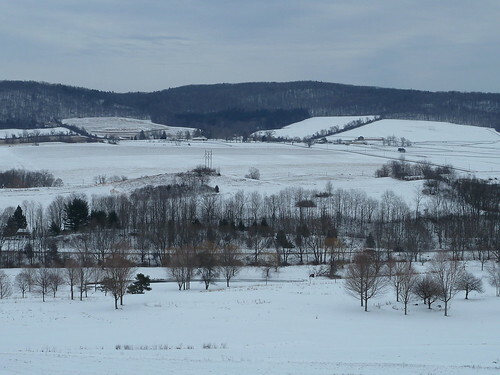 This is the shot of the hills of Amenia without special effects. See the doctored one here. Which do you like better? Hi Jenny ! I like the original. The doctored one looks wrong in a way I can't quite put my finger on. The trees are a little muddied up making it hard to make out details, and they don't "jive" with the lighting in the rest of the picture. The original is nice.